Sushi bowl goodness! get the same flavors of a sushi roll in salad form. 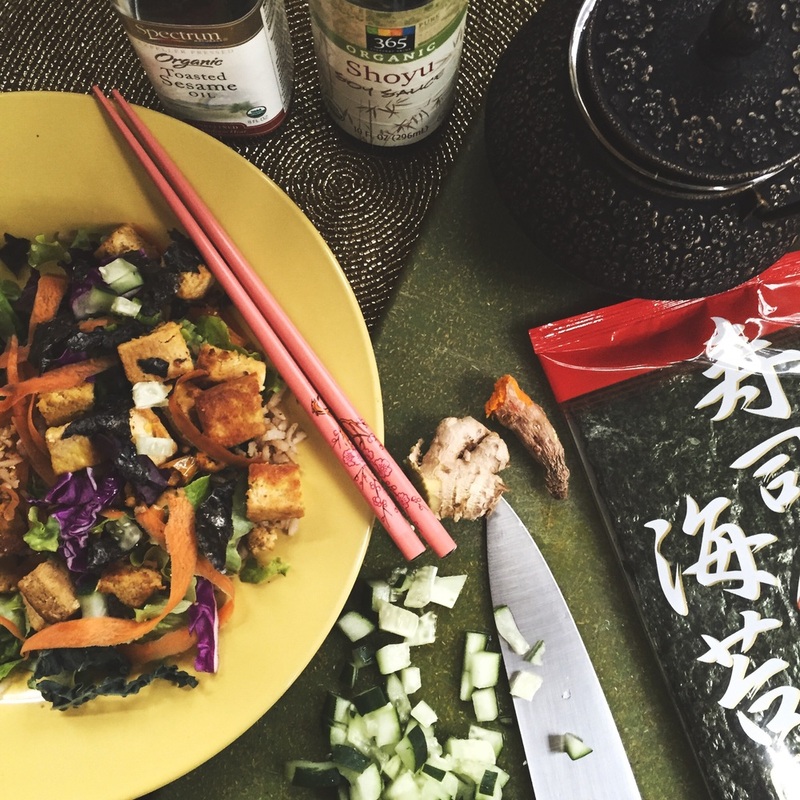 ðŸ™Œ Cook brown rice in veg broth; sautÃ© cubed tofu in sesame oil, shoyu (or other soy sauce), red pepper or chili sauce, shredded ginger and #turmeric; add greens, shredded nori and cabbage, diced cucumbers; dress with soy sauce and sesame seeds. Add wasabi for an extra kick.